Dauphine of France from 1770 to 1774 and Queen of France and Navarre from 1774 to 1792. I love Rococo; its fashion, patterns and architecture. I see Marie Antoinette as an icon of this period, as well as a figure charged with femininity. 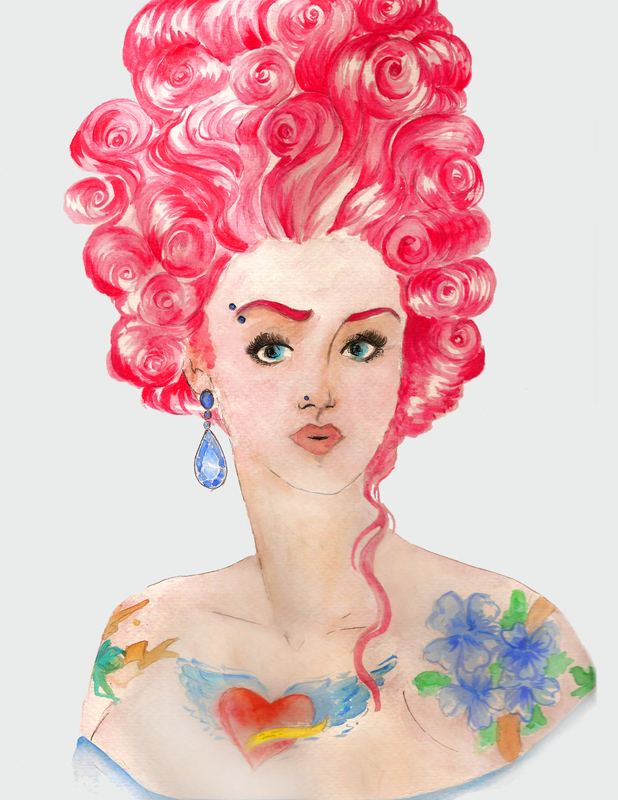 A couple years ago, I started illustrating her; with bright and very girly colors like pinks and purples (Influenced by the movie made by Sophia Ford Coppola of course). Since then however, my idea of femininity has changed, and the way I portray women now is radically different.